ROCK FALLS, IL. — I’ll admit it. I’m a sucker for golf history. That explains why it seemed a good idea to stop by what had been Rock River Country Club en route to the PGA Tour’s John Deere Classic in Silvis, about 40 miles further west. 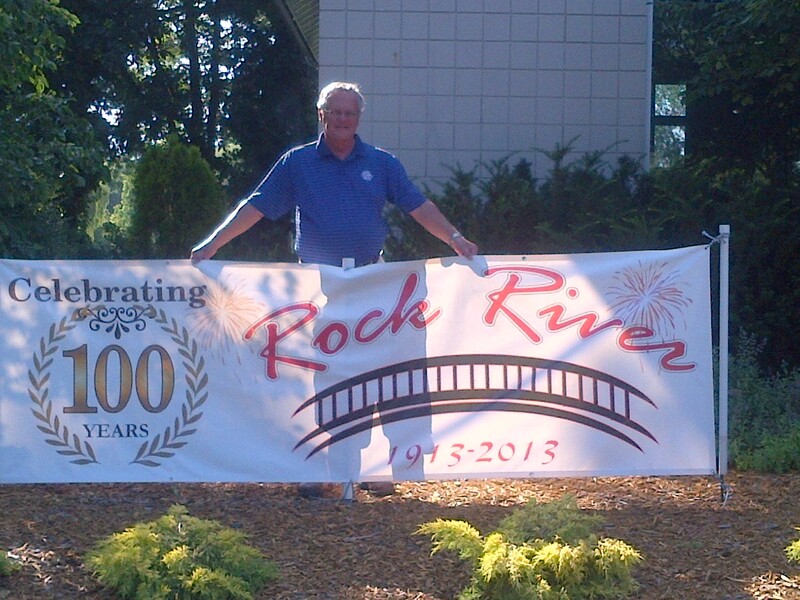 Officially known now as Rock River Golf & Pool, the facility is celebrating its 100th anniversary in 2013. How many courses in downstate Illinois are still around after 100 years? Several clubs in the Chicago suburbs have long past their year No. 100. 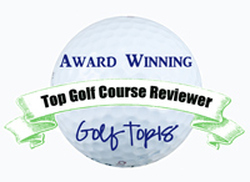 The Downers Grove golf course was America’s first 18-hole course when it opened in 1892. It was reduced to a nine-holer long ago and is now owned by the Downers Grove Park District. That course was originally called Chicago Golf Club, and its members soon wanted a better facility so they built another 18-holer in Wheaton in 1893 and that layout is now considered America’s first 18-hole layout. Private clubs Onwentsia, Midlothian and Glen View also opened before 1900 as did Jackson Park, which became the first public course in the Midwest in 1899. The Rock River visit, though, showed that golf clubs thrived in downstate Illinois a century ago, too. Probably the best example of that is in Rock Island, where the Arsenal Golf Club has a course dating to 1897. It was a private club serving military personnel until 2010. Now the sporty layout on the Mississippi River is open to the public. Rock River, however, is something different and we got a bigger dose of its history purely by accident. A day after our visit the course hosted the Ladies Lincoln Highway tournament. It’s almost as rich in history as the course it was played on this year. 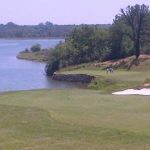 The 36-hole Ladies Lincoln Highway event is the longest-running ladies tournament of its kind in the United States and many of this year’s players were preparing for it when we played our round on the course. First held in 1923 at Dixon Country Club, the tourney came to Rock River in 1925 and it had a notable caddie – Ronald Reagan – in its early years. He spent his childhood growing up in Dixon and the surrounding communities. 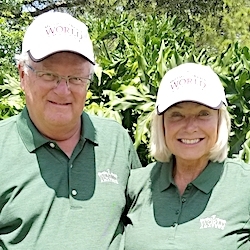 Sandi Ivey, co-chairman of the Ladies Lincoln Highway event, provided pictorial evidence of the future U.S. President’s involvement as a bag-toter for the women golfers. Some women have played in the Ladies Lincoln Highway tournament for more than 40 years, and some who can’t play anymore still turn out to watch. This year’s Ladies Lincoln Highway tourney had some history made as well. Ember Schuldt, a 21-year old University of Illinois senior from Sterling’s Emerald Hill course, shot 68-67 to win the tournament for the eighth straight year. Her father Don was her caddie in the first round and her brother Frank was on the bag for the second. Schuldt, who has played in the event every year since she was 13, won by six shots over Connie Ellett of Kishwaukee, in DeKalb. Schuldt’s latest win served as a springboard. Two days later she finished second in a qualifying event for the U.S. Women’s Amateur, so she’ll be playing in the finals of that national championship at Charleston, S.C., from Aug. 5-11. 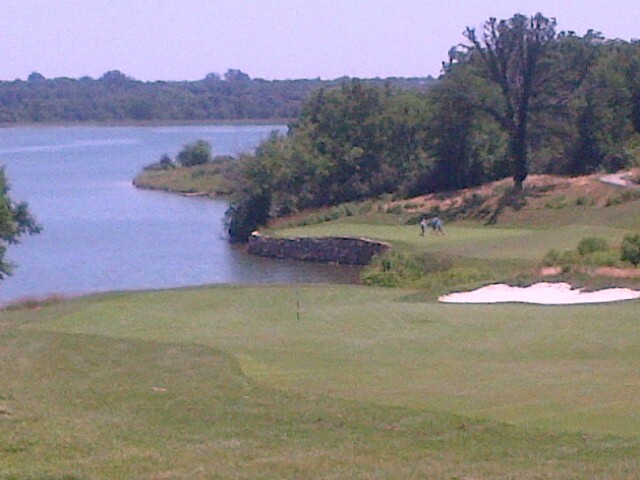 The designer of may be a mystery, but he knew how to incorporate some beautiful views of the Rock River into his course. A stop at Rock River is well worth it if you’re cruising down Rt. 88. The course is just off the Rock Falls exit and has a Supper Club that serves tasty, fairly-priced cuisine and offers a friendly atmosphere. The course is a bargain, too; these two seniors paid $30 total for an 18-hole walking round that included pull carts. Rock River doesn’t have any steep hills and the greens and tees are close together (except for the area between nines), so it’s a fun walking course. You don’t find many better courses for walkers. Unlike most of the old Chicago clubs, Rock River’s history is sketchy. The course was built on farmland. It was limited to seven holes initially but quickly was expanded to nine for its opening in September, 1913. Those holes comprise the present front nine, which measures 2,707 yards from the tips. Most memorable hole on either nine is No. 7, an uphill par-3 with water left and trees right, but the most striking features of the course are the views of the Rock River. There’s one par-5 on each nine, the longer one being No. 11, at 485 yards. The back side, built in the 1960s, is notably longer than the front at 3,213 yards but the whole course is still under 6,000 (official yardage is 5,920). 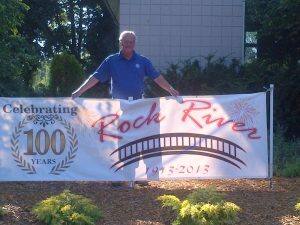 A private club for most of its existence, Rock River is now open to the public. While the owners have plenty of photographic memorabilia to chronicle the course’s past, no one could name the course architects.